What challenges and benefits do you think you gained by “going it alone”? You teach, create and show…what do you get from each of these aspects of your work? 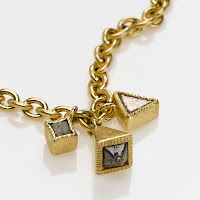 I’m heading to NYC for a business trip, but I plan to stop by DVVS Fine Jewelry in the Chelsea district to see some of Todd’s pieces up close. I noticed there are many other amazing jewelry artists at DVVS so look for some of of my favorites in future postings! Next post: Meet Majesta of MajestaM!